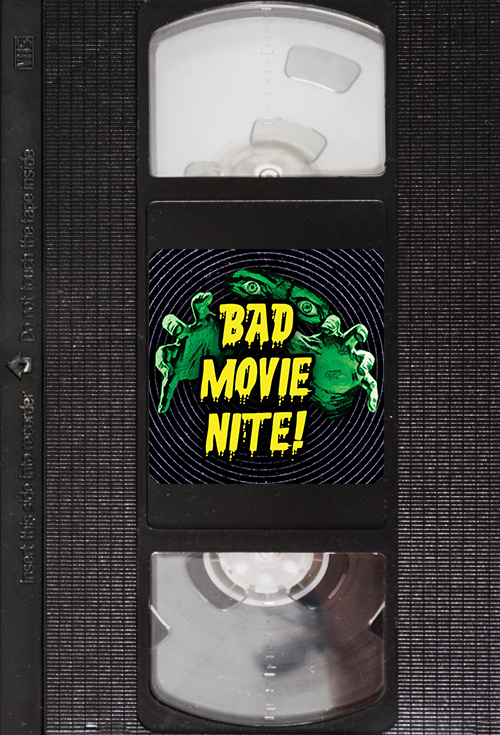 Usually the second Saturday of every month, the Lyric presents Bad Movie Night! What is it you might ask? Well, it's kind of like Mystery Science Theater 3000 except meant to be watched in a theatre full of people instead of alone in your parent's basement. Bad Movie Nite! is a fully realized show consisting of a B-Movie with added text commentary and edits with a bad "commercial" break too. The movie is preceded by a brief clip show consisting of snippets from other b-movies, old commercials, weird music videos, how-to video nonsense, and other bizarre clips. Many of the clips are edited and call back to earlier clips in the evening. Each month's feature is a complete mystery. A hint is posted on our Facebook invite and that's about it. Not know what terrible movie you're about to see adds to the excitement of the night! The audience is also encouraged to add their own commentary throughout the show.